This article aims to show you a tool named VeryPDF PDF Password Remover for PDF password recovery for Mac OS X users to recover PDF password of owner and user. 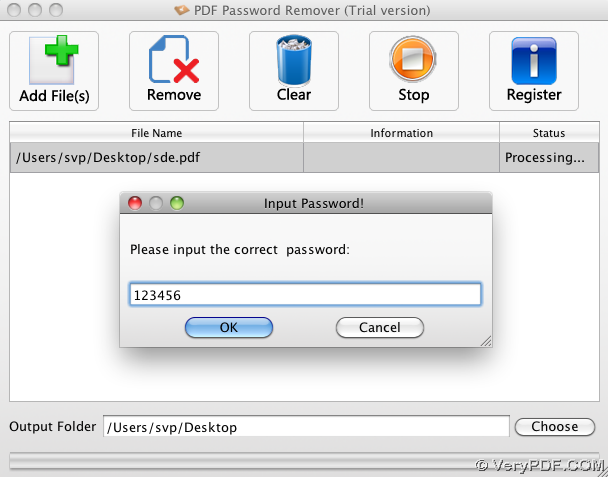 What is PDF Password Remover for Mac OS X? 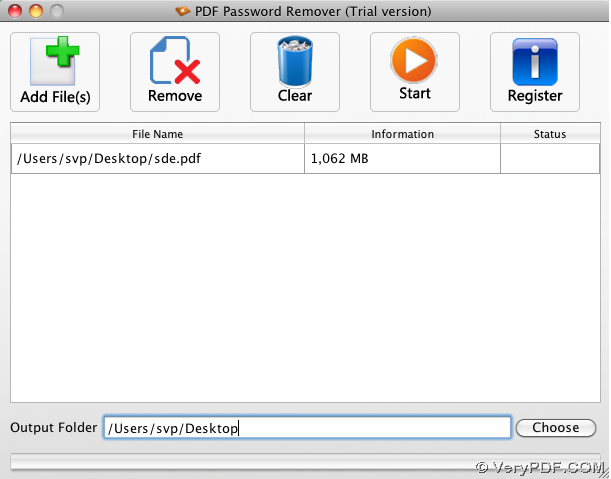 PDF Password Remover is a GUI application for Mac OS X users to easily remove PDF password singly or in batches very conveniently. To experience PDF Password Remover here, please click at here. Why should we choose PDF Password Remover for Mac OS X? Support running well and normally in Mac OS X: v 10.5, 10.6, 10.7, etc. How to realize processes to recover pdf password of user and owner? At the end of this kind of processes to recover pdf password singly or in batches in Mac OS X systems, you can get your expected pdf files without all kinds of passwords at all. For other software of Mac OS X and Windows systems, welcome to visit product page of VeryPDF. And for more concerns of this kinds of processes and others, please do not hesitate to let our support team know or just drop your comments here. Thank you for your support here! This entry was posted in PDF Password Remover and tagged in batches, Mac OS X, recover pdf password. Bookmark the permalink.